Happy #NationalWatermelonDay! Whatever your opinion of the (increasingly specific and silly) “Instagram” holidays I’ll take any excuse to serve – and share – one of my favorite summer dishes. 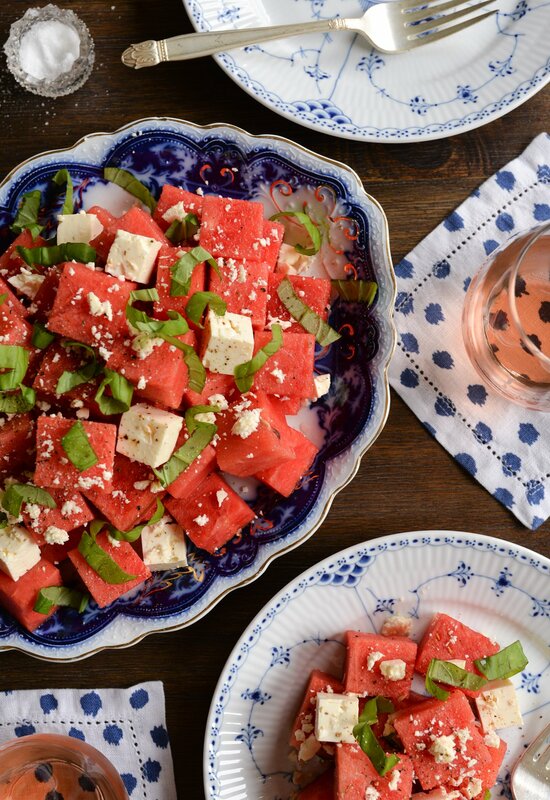 I can still remember the first time I had this watermelon salad, during a friend’s birthday dinner at The Farm on Adderley in Brooklyn a few years back. I had never thought to salt my fruit and it was amazing how adding a few simple ingredients elevated the melon from your typical picnic fare to something so special. 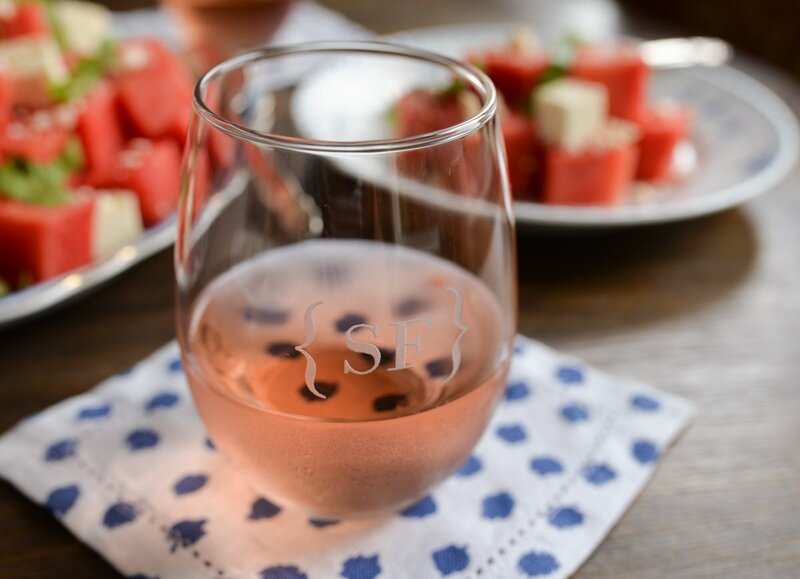 I typically serve this as a summer appetizer alongside a nice rosé like the one we picked up from our recent visit to Murrieta’s Well Winery. 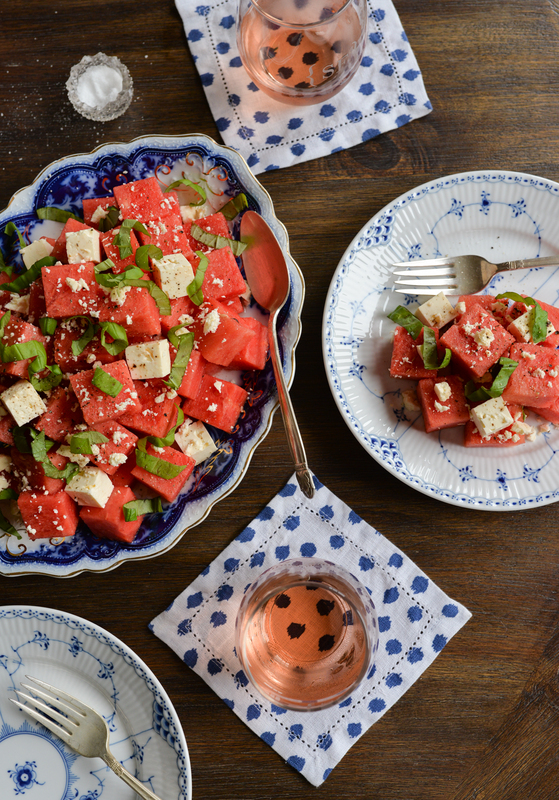 But on the hottest of days, it’s the perfect light lunch since watermelon is 92% water – no wonder it’s so refreshing! 1. Cut your watermelon into 1″ thick wheels, then lay each wheel flat and cube the fruit, discarding the rind. (This is the easiest and prettiest way to cut the fruit. Of course you can always cut the melon into wedges if you want to serve the dish as finger food.) Arrange cubes in your platter. Squeeze the juice of one lime over the watermelon. 2. Drain your feta and cut half of the block into cubes. 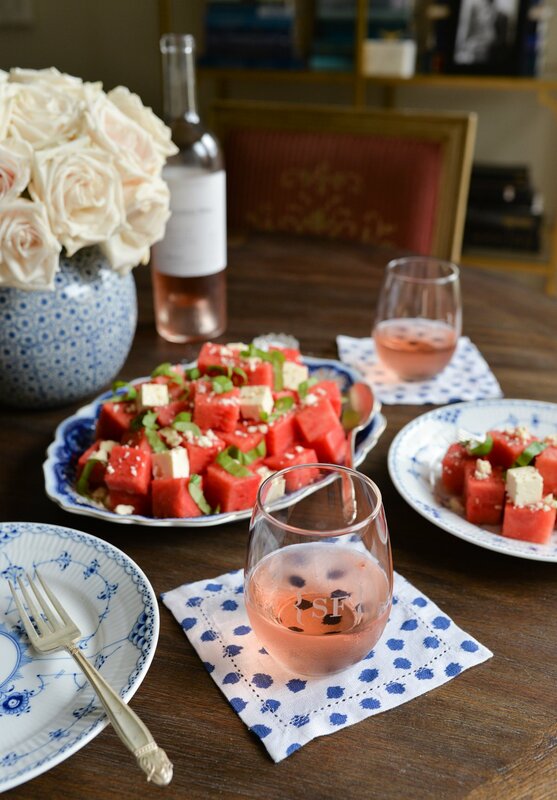 Scatter cubes over the watermelon. Crumble the remaining feta and sprinkle over the platter. 3. 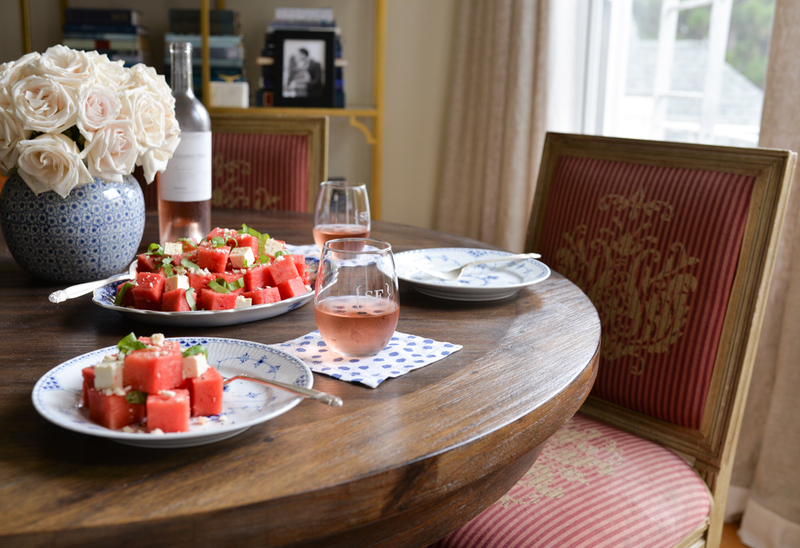 Cut basil into ribbons and scatter over the watermelon. Finish with a dash of salt and a couple cracks of pepper. 4. Enjoy with a nice rosé! The vibrant colors of the salad look especially beautiful against blue and white plates, and if you’re wondering how to go about collecting vintage china you can check out my recent blog post here.